You make me want to draw Pokemon again! Amazing work! I love Decidueye. Decidueye, the Robin Hood of Pokémon. Oh my god, it's o perfect ! 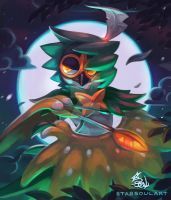 Decidueye is my first pick too and she is Awesome. This is beautiful work, Treecko. 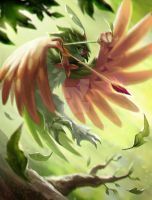 That is an amazing painting of Decidueye, great job ! That looks awesome. Love Decidueye's look. Ahhh. I really like this image!